Within a three-day period every year, Christians remember, celebrate, and pay tribute to the final path of Jesus Christ. His judgment, passion, death, burial and resurrection together form the story which embraces everything from betrayal to rapture. Over the centuries and millennia, it has evolved in the manner of how Christians around the world celebrate, but the essence of story and how it resonates remains the same. Although Easter is preceded by Lent, which many Christians observe, a large number participate in the rituals of their choosing during the final three days, which begins with Good Friday. The origins of certain rituals are not entirely clear. Some speculate that the Good Friday tradition began in the 4th century. Others think it has German origins. There are manuscripts detailing early accounts of Good Friday ceremonies with the veneration of the cross beginning in the late 17th or 18th century. Speculation asserts that the Good Friday tradition began in the 4th century. Some countries hold parades, often with a single person bearing the cross symbolizing Jesus’ iconic walk to the Crucifixion. Other parades, such as those in South America or Italy, will see small bearers marching statues through the streets. Of course, there are many services in churches around the world, differentiated for the most part by the dress and not the process. Some churches will be adorned with flowers. Others, not. The approach to food varies. Many Catholics will abstain from food and fast on Good Friday. Some will avoid eating meat, chicken and pork. Others, yet, will eat only seafood. Hot cross buns are very popular. To make this colourful and tasty Easter bread, watch a very simple video on Canada’s allrecipes.com. The ingredients are minimal and you can choose to include the eggs to add color. 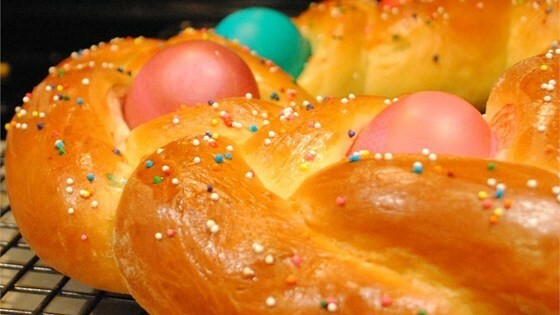 There is plenty of information about Easter on the web, but you might enjoy this article from Mashable that has excellent photos from around the world. However you celebrate Good Friday, enjoy your traditions, whether they be historically based or created by your own family.